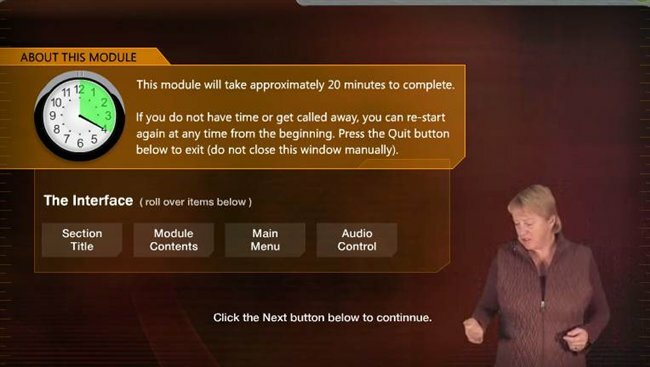 I've always liked the technique of using a host/instructor to put a human face on training presentations. On my last project I had the good fortune of working with a fun, well-spoken subject matter expert. Using lots of photos and video I decided to let him deliver the training and let his quirky personality show through. Do you ever use individuals (SME's or actors) to "host" your training lessons? Andy.... Great module! As I'll mention again in summary, I would love to see a lot more "personalization" in eLearning. This is a passionate area of interest for me due to a number of reasons and I hope my own biases won't substantially filter the opinions of others- which I'm interested to see. I was originally a Public Television producer/talent (early 1980's) turned Industrial Video Producer for training videos (late 1980's) turned training facilitator for 18 years, and now doing both direct delivery and talent (voice over/on-camera) for eLearning. The following comments are offered for developers in general, not a critique of your example ! ! ! Let me start with the WARNINGS: First and foremost we should remember what the ultimate purpose is....engaging the learner and transferring knowledge. Back in the day of expensive and incredibly technical video production, people routinely overused the latest effects (eye candy) thinking it was cutting edge. Much of the equipment was sold to producers and production facilities by appealing to those very egos. Today, the principles of good production remain the same.... over use of anything becomes a distraction to the purpose and cheapens/weakens the project. I think almost everyone would agree with me that little-out of scale-green screen- people walking around a web page is just plain cheezy! When it comes to narration or video, choosing the right person is a significant decision. They don't need to be a professional talent! In the case of SME's it might be someone in the organization/industry who is very credible and respected, and has a passion for what they do They WILL however, need to be comfortable and natural in their "delivery". They don't need to appear (motion or still) in every slide. Again, over-use misses the message. A warm greeting, spots where some chit-chat can help frame up what's to come, to transition topics, to REALLY emphasize a critical point, and a sincere conclusion/call to action/ thank you, are appropriate uses. And now the PLEA! One of the valid issues around a lot of eLearning over the years, is it lacks a personal or human connection. In the training environment a passionate instructor transfers the emotion, not just the information, around the topic. Every seasoned professional in our industry will tell you that in order for training to stick, it has to make an emotional connection. The equipment to shoot and software to edit is dirt cheap and easier to use by the month. Not as easy are the techniques to imbed these files into the project but those willing to share their expertise (as most members of this community are) can help all of us elevate the quality and results of our efforts to serve our learners and stakeholders. I would love to see advancements in adding this dimension. Additionally, just as developing the skill of public speaking has often been recommended I would encourage ANYONE to develop "camera comfort" as part of their professional skills. LOVED your example, Andy! And you're right, your SME did a fabulous job as a course host! He's got a great tone & pace and really makes you feel like you're hearing from a "regular guy" ... feels much more credible than listening to a polished/professional narrator. Besides having a great host, your course has a really nice visual design and structure. Great use of video, images, animations... it's really, really well done! Thanks so much for sharing this! I agree with both you guys. LOVED the example and the SME's talent in delivering the message. How did you shoot and edit the video, add the effects etc.? I'm not a video wizz but as Bruce states, tools nowadays are often not to expensive and eas to use. Great module! I like the way you used the SME not just in video but also as a cut-out, still image in various slides. Keeping him such a part of the learning made it seem so personal, as though he were walking through the entire thing with the learner. Also, his speech was so casual yet informative--not at all stilted or scripted. Nice. Andy, thanks for sharing your great module. My company has been grappling with ways to make our software training courses more engaging for the audience, and I think you did a great job with that. One thing we struggle with is that our voice over sounds so formal, it doesn't really grab you. I really like the tone you used. Like it's being delivered by a real guy. I also like the mixture of video and still photos, and the creative way you got through the parts that we sometimes consider "boring but necessary," such as the overview, navigation info, and the objectives. Great example!! Like Jeffery I have to ask about the tools you used. 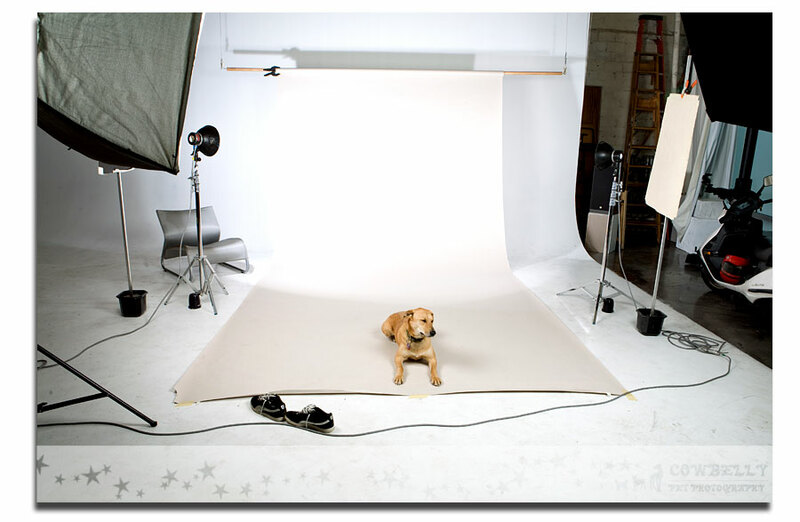 Did you hire a studio to do the shoots? You problably used chroma background right? The visuals were great too. God Job! Writing for verbal and visual communication is significantly different than communicating through text. Writing for radio or television is substantially different than writing for print. As everyone is remarking...." this guy sounds so natural". He is ! Try this experiment...... take an article from a publication and record yourself reading it. Now listen to it and see how well you understand the message, stay engaged in the message, and can even understand the bottom line of what it was all about. Blogs are often an example of text that is arranged in more "conversational" tones. Its a great practice to have your SME's help with the dialog. They are probably going to give you better suggestions than a journalism major. (That's not a value judgement) Voice or camera talent is there to say what they're told to say. If what they produce sounds stilted and unnatural it's usually because of the "script". Great demo, Andy! There were a lot of "extras" tossed into the project that kept me looking forward to the next slide. Bruce: you're so right about the need for more personality, authenticity in elearning. Not every SME can pull it off, but I would agree that quirks and nuances are often what make characters more human. Hi Andy. Thank you for sharing such an awesome project with all of us. This really shines as an example of how well elearning can be produced. Budget, time and availability are all constraints faced by most so the thought of creating a module to this level of design might be seen as too much work/effort for the time/budget. But wait a second. Is that really the case? What about a series of modules done like this? When I went through the course I could see elements of rapid development particularly in the consistent use of just a handful of slide layouts and consistent use of design elements/treatments.Each slide wasn't treated like it's own production. Leveraging the built-in tools within Articulate Studio '09 aids in rapid development but so often this comes across clunky and almost as if the tools are being used because they are available. In Andy's module the tools were used to support learning in a really effective way. What impressed me the most was the transition between these parts (presenter > quikmaker > presenter > engage > full screen flash at the end > embedded web object for certificate > presenter ). This was exceptionally well thought out, well designed and SMOOOOOTH and created the perception of higher rpoduction value while no doubt Andy had actually kept his effort to a minimum (by design). This is the kind of template that can be built once and re-purposed across a series to produce consistent style without re-inventing. And it goes without saying that no template, no matter how well designed, will be effective without solid, well thought out content designed to provide just the essentials of what learners need to know to perform on the job. Oh yeah, and as it relates to a course host - in this case because everything else was so well done, the course host also worked out well. I've green screened actual SMEs and had them appear throughout the course as specific times while also using a voice narrator for other parts. I balanced the two to limit the amount of time/effort required by the SME. This was done for an emergency response course for oil & gas. I've attached a screen shot of it. Andy - thank you for posting this (I have sent the link to all of my team members). This is, imho, an EXCELLENT example of creativity and engaging with the learner. Thank you again for sharing; you definitely have us talking/thinking of what we could add to our next courses! Thanks for the kind words and great thoughts and discussion, everyone! As for the tools used, I'm lucky in that I come from a video production background, so I shot the video elements myself and edited them using Final Cut Pro. The intro and conclusion videos were shot on location at local mine sites and the rest was shot on a white cyclorama that I rented from a TV studio in town. (I wanted some full-body shots and this was my only option, but pulling a good luma key was a pain and next time I'd stick with a standard blue or green screen.) I had fancy gear, but much of what I did with video could be reproduced using entry-level equipment and software. I took almost all of the photos myself. In fact, some of the images of shelves, containers, laptop-on-a-workbench, etc. were taken in my own basement. I used Photoshop extensively for preparing graphics and photos. I can relate to all the comments about the trainer coming across as a "regular guy". I've worked with him for a long time and he has a uniquely genuine personality and is a natural in front of the camera. He's something special, but I've used many other "regular folks" on similar projects as well. To me, a personality–even one who is a little rough around the edges–is almost always more compelling than an ethereal narrator. The silly sandwich gag at the beginning of the lesson is actually meant to support this. I like to throw the learner off a bit, and make it feel like an actual interaction is taking place vs. an information dump. Stephanie is correct in that this lesson took a ridiculously long time to produce, but was justified in my mind by the fact that it will serve as a template for the 10 or so more to come. What kind of cost do you think would be associated with having this type of video created? Andy, I think you did an amazing job with this! Thanks for the information on how you created it as well. Tell your SME that if he ever wants to get out of the mining business, he probably has a future as a regular guy eLearning host! Estimating video production costs is always tricky. For industrial projects in smaller markets like mine, it's common for projects to work out to around $500-$1000 / finished minute of video. There are extra factors to consider when shooting for an Articulate project, as your editor will need to be able to size and compress the video properly to fit within a 720 x 540 presentation slide. In my case the video needed to be masked and positioned pretty precisely, as it interacted with graphical elements on the PowerPoint slide. I am in the process of building a mine-specific training program and your example has provided huge inspiration. Outstanding work; thankyou for sharing and showing your work. Very Impressive work Andy. And yes, your talent is spot on. Real blokey bloke that could've walked straight off site in his steel caps. Do you also use a registration component so that only qualified inductees can undertake the training? I'm going to hang my certificate proudly on the wall and then hop on the first flight to Minnesota for my new job in the mining industry. (Ironically it is my background and am still involved.). If you are using pre-qualifiers do you do that outside of the course (say via the site that the course is hosted at) or could you use an embedded web object? In either case, is this content "standalone" or integrated with an LMS? p.s. Call me pedantic but, my only quibble? MSDS Sheet? That makes it a Material Safety Data Sheet Sheet...kinda like a PIN number. The needs of our training delivery system are rather modest (sell registrations and log lesson completion). After exploring existing LMS systems, we decided a custom solution would better serve our needs and we are in the process of developing it. Mine operators or safety directors will be able to purchase accounts for their employees, and track who has completed which lessons. Access to lessons will be sold in packages or individually. You viewed the HAZCOM lesson during the brief window in which it was shared with the Articulate developer community in its entirety for feedback. It has since been replaced with a demo version that limits access to some of the content. The essence of the training approach and nifty Articulate tricks I used are still clearly illustrated. "MSDS Sheet" grates on me as well, but it's a common industry term so I'm stuck with a case of RAS syndrome if I want to be understood. RAS Syndrome. Classic. Now that has really made my day. Twitter here I come. On topic though, your use of video within the slides is really great and illustrates that strong production values and clear Storyline (no pun intended at this stage...) should render the host software invisible. The win win here is that, at least in this instance, you've found AP09 to be the best host application to efficiently build and deliver your content. I thinkl we'll look forward to seeing what you do with Storyline once released..
Great example. How did you manage to scatter questions slides through the presentation, was each one a different quiz? Way to go, Andy! Thanks for sharing your story with the Articulate community! Awesome work, Andy. I don't know what I could say that hasn't been said already. I will add that besides the fantastic use of tools, I especially appreciated the flow of the course. So often that's not noticed because when it's done well, you don't even think about it. Two thumbs way up and thanks for sharing! This is great Andy. I really appreciate you sharing it with us. I am fairly new to the organization that I am working with and this gives me something concrete to share with them as an example of what can be done with the tools that they already own. Thanks! Oh - I do have one question. I know you said that this took a long time and I can completely understand. Can you give me a ballpark guesstimate? Voice overs on every slide?